Today we salute a triple OG in the scene. 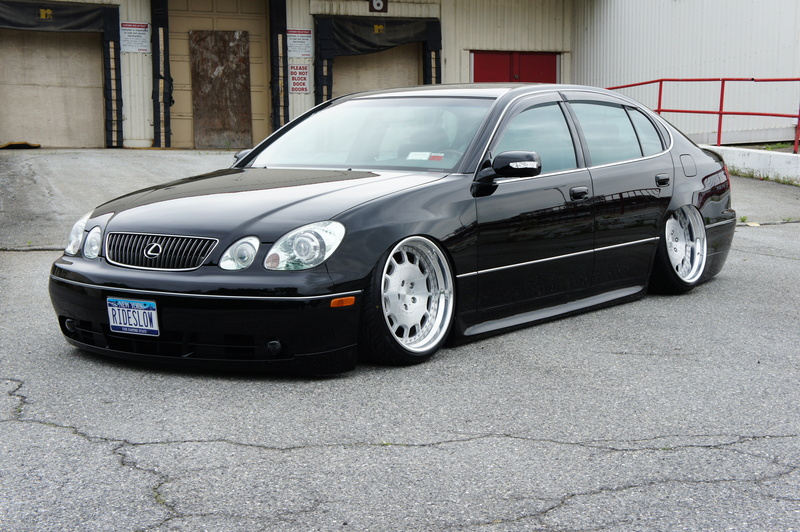 One of the first completed vip style builds from New York city, isn’t that of a traditional platform. It was an Acura fitted with Mode Parfume, that showed lots of people how to do the style correctly. It also let people know that a FWD can pull it off as good if not better than its RWD counterparts. At the time when people heard the term fitment out in the north east, most thought about clothes. This guy was putting relatively low offset 9.5’s on a front wheel drive car which was then frowned upon. Most multi-piece Japanese wheels were only seen on the internet like his SSR Vienna’s. Having the car roll out to meets was like having a motivational speaker except it didn’t need to say one word. Chris out of Elmhurst NY just drove out of Dreamakers Kustoms in a Hearse, he’s killing it! You might want to go ahead and add this to your list of favorite GS’ states-side as this one looks like it can be featured in a Japanese VIP magazine.